According to Zillow, the median home value was $113,400 in early 2019, which is a 12% increase over the median home value in early 2018 . The lake is the community's largest draw, with camp grounds, boat rentals and marinas aplenty. The poverty rate here is high, and limited shopping may dissuade some from retiring here. Summers are very humid while winters are in the thirties and up. 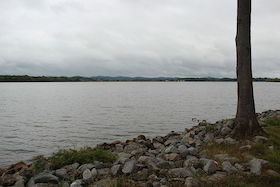 Centre is located on a very large lake, Weiss Lake, in northeastern Alabama, not far from Georgia border and the town of Rome. Admittedly the outdoor life is more celebrated here than the cultural one. However at the Cherokee Historical Museum the local history and heritage is depicted in displays of old local newspapers, shotguns, wagons, Indian artifacts, doll collections, celebrity memorabilia, etc. The Cherokee Medical Center has 60 beds and a 24/7 emergency department. 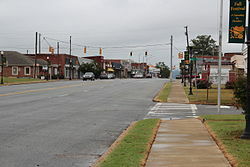 The closest large airport is approximately 85 miles away in Birmingham; Centre is about average in walkability when compared to other communities.